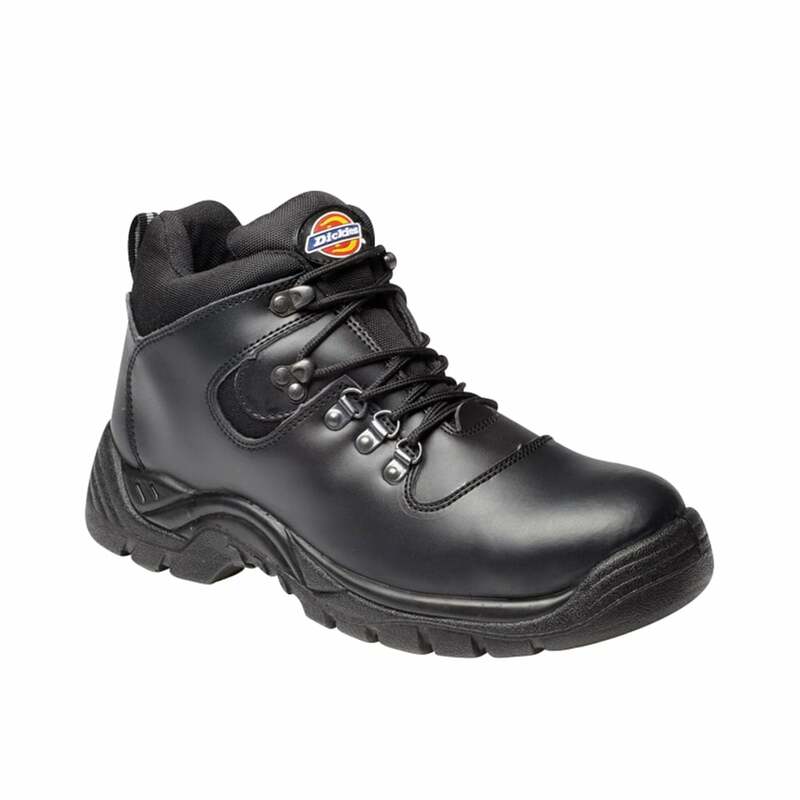 Dickies Fury Super Safety Hiker Boot made from leather and mesh these boots comply with all safety regulations. They have a breathable lining, anti static and absorbent heel, steel toe cap and mid sole and petrol and oil resistant sole. Black only.